Gensco has creative and fun dealer meetings. Last year their theme was a “Tailgate Party” at the Tulalip Casino in Marysville, WA. Everyone – no, really, everyone – dressed up representing their favorite sports team: the Seattle Seahawks! I performed as a rabid Hawks fan complete with face paint and green & blue hair. It was impressive to see so many Hawks jerseys and the excitement as the Seahawks marched towards what would be their Super Bowl victory. 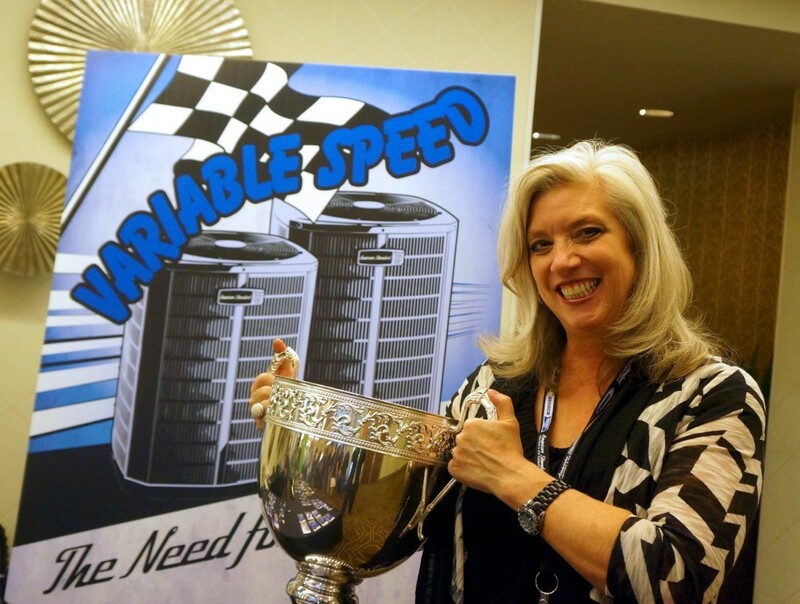 Judy with Gensco takes home the Cup! 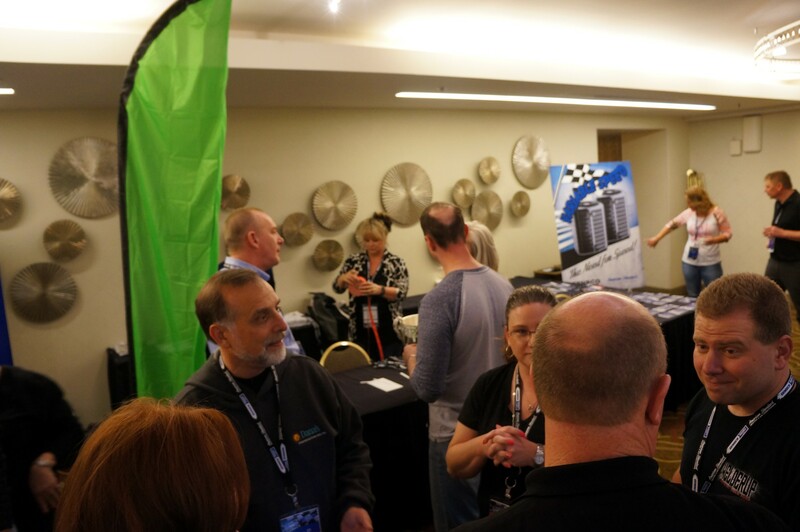 This year Gensco they invited me to their meeting at the Portland Hilton Hotel with the theme, “Do you feel the need… for variable speed?” The newest American Standard heating and air conditioning heat pumps now feature variable speed for quieter and more efficient operation. I performed strolling magic during the welcome reception in the tradeshow area and then entertained on stage after dinner. Fitting with their “need for speed” theme, the following morning their keynote speaker is a group called Afterburner. The are Top Gun fighter pilots who discuss how to work as a team to create and execute mission plans as it applies to business. Looking for great entertainment for your annual meeting or convention? Located in Olympia, magician Jeff Evans performs from Seattle to Portland and beyond helping make corporate events fun and unforgettable. Learn more at www.amazementproductions.com or call Jeff direct at (360) 412-5064 or send e-mail to jeff[at]amazementproductions.com. This entry was posted in Uncategorized and tagged American Standard, banquet magic, corporate magician, Gensco, Portland convention entertainment, Portland entertainment, Portland Hilton, Portland magician. Bookmark the permalink.